Ready to adopt a new furry friend? Read on for our complete animal adoption checklist, from the right products to the right attitude! Adopting a rescue animal is a rewarding journey, but before you find your best friend you'll want to properly prepare. The following content is created in consultation with Overstock.com. It does not reflect the work or opinions of NBC Washington's editorial staff. To learn more about Overstock.com, visit Overstock.com. Adopting a pet is a wonderful decision to make. You’ll be saving an animal’s life and enriching your own in the process. But rescuing a homeless animal is also a life-changing decision, meaning before you bring home your new four-legged friend, there are a few key things to consider. That’s why Overstock.com is here to help. By using their technology to connect people with cats, dogs, and other pets from thousands of shelters nationwide, Overstock is helping the lives of homeless and abandoned animals in an effort to make the world a better place. Find you perfect pet by searching local listings right here! To get you prepped on becoming a pet owner, Overstock has put together their animal adoption checklist. Read on for eight helpful tips, from the type of process you can expect to how to best prepare your home for your new family member’s arrival. Pets require time, space and patience (not to mention lots of love!). So before rushing to adopt an animal, you’ll want to consider what types of pets fit your lifestyle. Do a quick inventory of your life and consider the following: Do you live in a house with a backyard or in a small apartment? Do you work long hours and travel frequently? Are you looking for an energetic animal or one that’s content to curl up in your lap? Understanding your own lifestyle will help inform your pet adopting decision and make you a better owner. Dog and cat owners can anticipate spending over $1,000 annually caring for their pets, so it’s critical to consider your budget before adopting a homeless animal. From toys and treats to walkers and vaccinations, ensuring your four-legged friend is happy and healthy will undoubtedly add up. Before you select an animal for adoption, write up a budget to see what you can afford as an animal’s age, size and breed, and sometimes even your own location, will affect overhead. Adopting a pet should never be a rushed process. Most shelters allow you to spend time with their animals, so get to know a variety of them before reaching your decision. 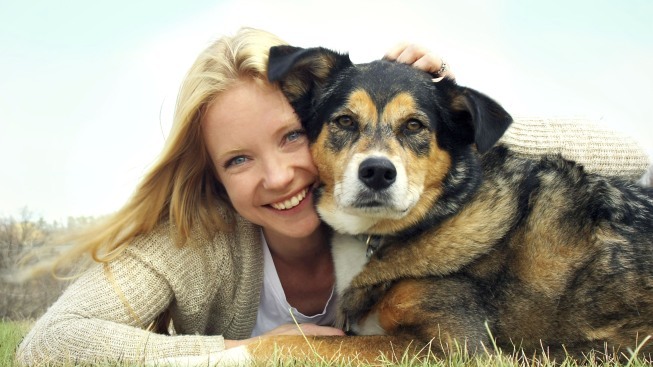 How you bond with an animal will be key to your success as their owner. If available, also meet with a pet counselor, who can help you find an animal best suited to your needs. Once you’ve selected what dog, cat, or other animal you’ll be adopting, you’ll want to prepare your home for their arrival. Successful pet adoption starts with proper care, so make sure you stock up on things like food, toys and bedding, plus animal-specific features like litter boxes and leashes. Giving your pet the right supplies will help them acclimate to their new surroundings. While you’ll want to adopt the right pet, shelters will likewise want to ensure that their animals will be provided with a good home. Expect to fill out significant paperwork, and come prepared with all the documentation the shelter requires, from a picture ID to rental agreements that allow pets. The majority of animals will come with the proper vaccinations and already be neutered to prevent overpopulation (a problem that plagues shelters nationwide), but make sure to ask these questions first. Some animals will require additional medical needs, from daily medications to frequent visits to the vet, while any pet that has yet to be neutered should get fixed asap. You’ll want to maintain a routine with your new pet. Find out what brand of food they ate and when they ate it, then stick to a similar feeding schedule for the first few weeks. Cats will appreciate the same litter, too, while dogs respond well to a consistency in commands (for example, decide whether “down” meets "sit" or "get off the couch"). Once they’ve adapted to their new home, you can start making a transition to things like different pet foods. Pets are lovely, loyal creatures, but they may need time to adapt to their new surroundings. Give them time to integrate with family members and any other household animals and you’ll enjoy a rewarding friendship. To adopt a pet in your area, visit overstock.com/overstock-pets.